Sun Professional Tablets All in one is used in all dishwashers. High performance concentrated cleaning tablets, specially formulated to obtain irreproachable results on stubborn dirt whatever the hardness of the water. 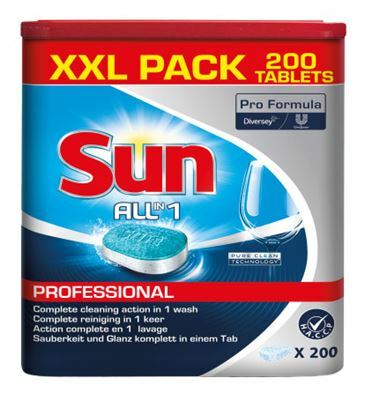 Sun Professional Tablets All in 1 is suitable for household dishwashers. • Alkaline agents ensuring a perfect degreasing of the dishes. • Sequestering agents avoiding scale encrustations on the dishes and in the machine. • Oxygenated agents and stain remover enzymes such as tea and coffee deposits. 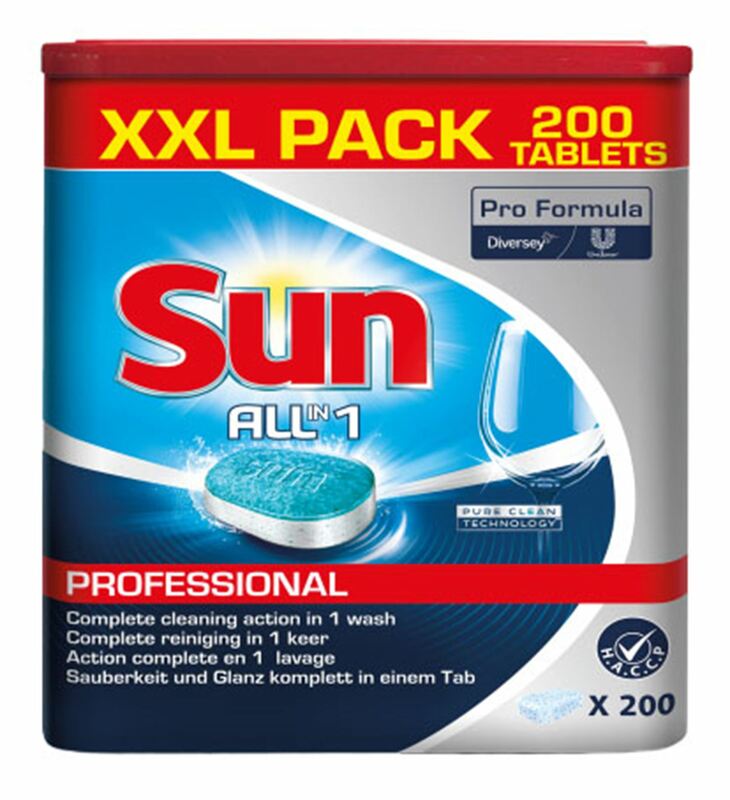 Sun Professional Tablets All in one allows you to have excellent washing results at low temperatures (50 ° C / 55 ° C). Put the tablet directly in the dishwasher. The water-soluble sachet dissolves easily in water.